Poori or puri is a deep fried bread. It is originated from the Indian sub continent. Puri is prepared with unleavened dough. Generally puri is made with wheat flour dough, some spices like carom seeds, salt added and deep fried in oil. 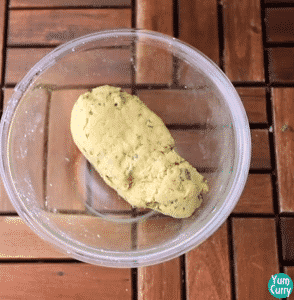 In this recipe I am preparing aloo puri. 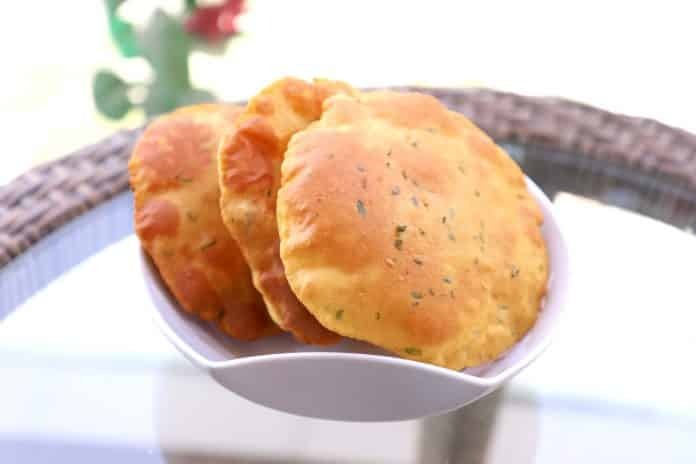 Follow the recipe to learn how to make tasty yummy perfectly puffed aloo poori step by step with photos. Puri generally eaten in break fast, as evening snacks or some time as a light meal. 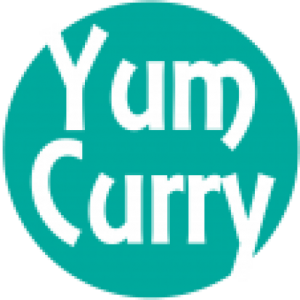 It is served with any light curry or bhaji(cooked vegetable in spices). In Maharashtra (Indian state) puri in enjoy with aam ras(mango puree). I enjoy poori most with potato curry and halwa. 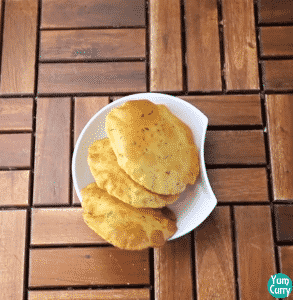 Today I am giving some twist to the simple poori and making aloo poori. For making aloo poori take all purpose flour in a mixing bowl, spice it up with carom seeds, chilli powder, turmeric powder, salt and oil. Mix all ingredient well. Add mashed potato and handful of chopped coriander leaves. Again give it a good mix. 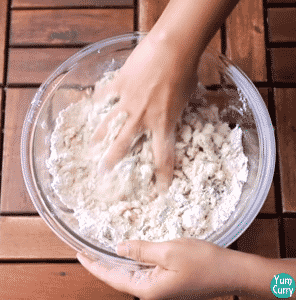 Start adding water little at a time and knead a soft and tight dough. 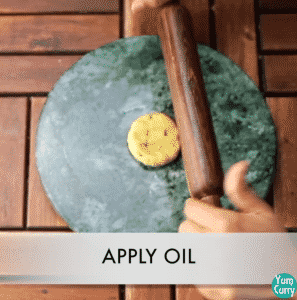 For rolling poori apply some oil to the rolling pin and start rolling it to a circle. Roll poori evenly and little thicker than chapati. 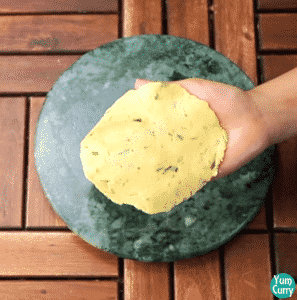 If you are not good in rolling and looking for perfect round shape poori, you can cut poori by using any round shape lid. 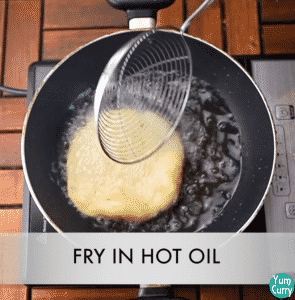 Gently pickup and slid into the hot oil. 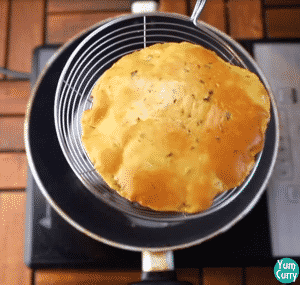 Fry poori perfectly from both side until turn golden brown. 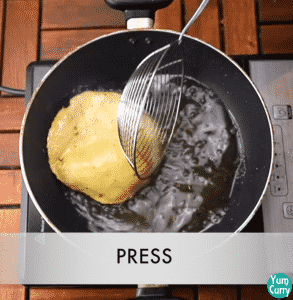 Boil to medium size potato. Peel and mashed it. 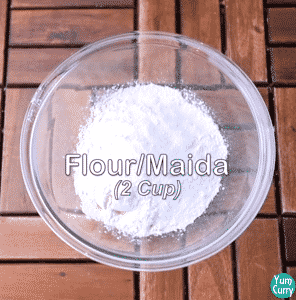 In a mixing bowl add 2 cups of sieved all purpose flour/maida. Add spices like carom seeds, turmeric powder, red chilli powder, salt and oil. Add boiled-mashed potato and handful or coriander leaves. 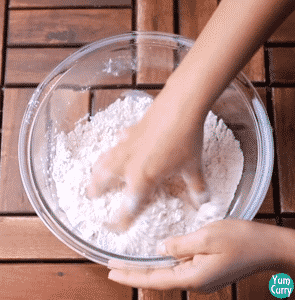 Place dough ball on to the rolling board, apply some oil on rolling pin and start rolling to a circle. 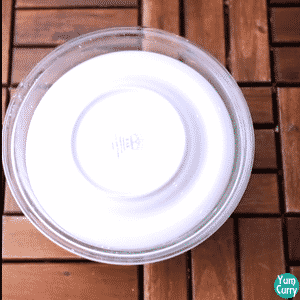 Evenly roll in to a round shape. 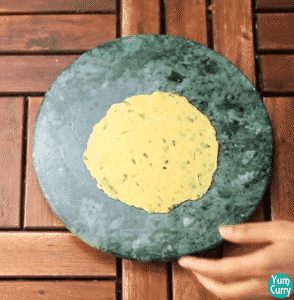 Roll it moderately thin, slightly thicker than chapati. 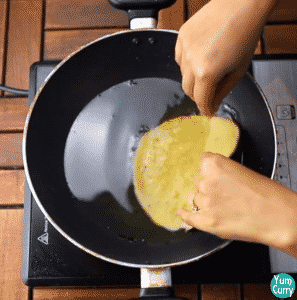 If you are first rolling all poori, cover rolled poori with kitchen towel so they don't dry up. Slid puri into the hot oil, add one at a time. Slightly press poori, it will puff up. Flip and fry from other side. Place dough ball on to the rolling board, apply some oil in rolling pin and start rolling to a circle.